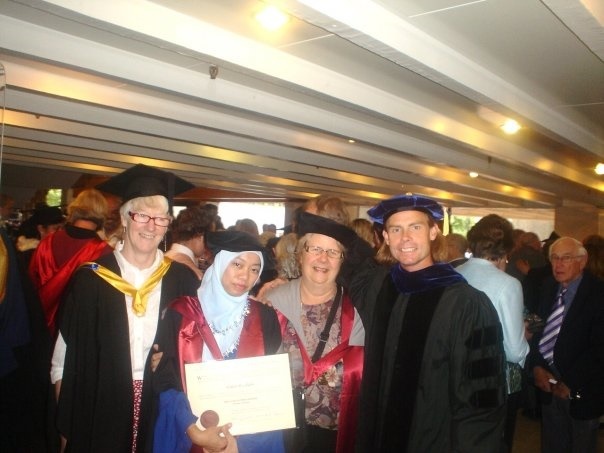 Me during my PhD convocation, University of Canterbury, New Zealand  with my supervisors... Billy O'Steen, Elaine Mayo & UCTL Director, Allison Holmes. My expertise is on the use of Learning Management System (LMS), Web 2.0 applications and instructional design (e-learning & m-learning). My PhD studies involved the use of WebCT (Learning Management System) to support students’ learning through online discussions in Higher Education. I am an active users of LMS through Moodle, and has also developed a model called “Types of Interaction Model” to evaluate how students interact and involve in online discussions forum in the LMS. 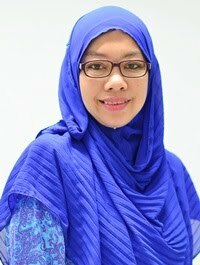 At the moment I am the Coordinator for Teachers’ Graduate program which involves three thousands teachers in Pulau Pinang, Kelantan, Sabah and Sarawak. The first cohort of the program has graduated on 5 June 2015 involving 979 students. The program utilized Moodle as the main platform for teaching and learning and as the coordinator of the program, I managed the ppgusm.com platform and facilitate students (which are all teachers) as well as the lecturers in using the platform. I conduct trainings for both teachers and students and facilitate them in using e-learning as the main communication and teaching and learning tools in the program. I am currently actively doing research on various topics on e-learning such as the use of Virtual Reality Online Scenarios for environmental studies in primary schools in northern corridor of Malaysia as well as developing a ICT compentencey standards for Malaysian teachers. I have also involved with the Mobile Learning team (Research University team grant – RM450k) Sustaining Education Through Mobile Learning Using Pocket Education. The project has succesfully developed the quiz application for SMS where more than 1200 students have piloted the quiz application and most of the students found that the quiz application is useful for assessment and learning process. Through a Knowledge Transfer Program grant from Miistry of Education, I conducted various training for teachers and students in schools ecpecially in Northern corridor of Malaysia to enhance their ICT skills and introduce new approaches in using technology in schools.The project has gone beyond the implementation in the specific school, where the project has successfully implemented to other schools, JPNs and other government bodies. I am also interested in social media research for academic teaching and learning for higher institutions in particular in the use of microblogging and ipads for teaching and learning. I have also conducted a Seminar on Educations Towards 21st Century Learning for the Northern Corridor Malaysian Higher Education Institutions on June 29, 2013. The seminar attracted 250 participants from Malaysia Northern Corridor HEIs. I am aiming for Malaysian Master Trainer in e-learning which hopefully will be granted in November 2015 from AKEPT, as well international recognition in elearning innovations. I have presented papers in various conferences all over the world on my interested areas of research.